The AAPI community is a big tent that encompasses people whose backgrounds span over forty different Asian and Pacific Islander ethnic identities. Our pan-ethnic AAPI identity has facilitated a robust interethnic solidarity central to most of our history’s shared political victories. Yet, while we recognize the many benefits of this convenient and coalitional AAPI identity, we must also refuse to allow anyone with whom we share this tent to be erased or silenced. Contrary to stereotypes of monolithic Asian American sameness, the AAPI community is strikingly diverse. Chinese Americans make up the largest single ethnic group within the AAPI umbrella, and many naively assume the terms “Asian” and “Chinese” are synonymous with regard to either culture and/or political experience; yet while Chinese Americans occupy a great deal of space within AAPI discourse, we represent only 20% of all AAPIs. By contrast, Southeast Asian Americans and Pacific Islanders make up more than one-third of AAPIs, yet too often these folks find themselves invisible, underserved, and uncounted. Invisibility damages: Where such data are available, indices of higher education access and healthcare coverage show alarming disparities for Southeast Asian Americans and Pacific Islanders. For many Southeast Asian Americans and Pacific Islander groups, median per capita income is less than half the national average, while poverty rates are twice the national average. Compared to the average American, or even the average AAPI, high school and undergraduate matriculation rates are distressingly low. Furthermore, disparities are not limited to Southeast Asian Americans. With regard to healthcare, diseases such as cancer, diabetes and mental illness have been shown to penetrate and impact AAPI ethnic communities in different ways. Those differences are important to consider if we are to develop meaningful and culturally-specific public health interventions, yet aggregated health data for AAPIs still do not reveal those nuances. This country is currently failing millions of its hard-working AAPIs. But, before civil rights solutions can be proposed and implemented for struggling AAPI groups, we must first understand the full scope of the socioeconomic disparities endemic to our community. That can only happen when we have access to comprehensive data about the AAPI community; we cannot fight for our rights so long as we are denied knowledge of who we are as a community and a people. Current data collection methods apply a flawed assumption that AAPIs are a racial monolith. We are deprived of the right to self-determination by agencies that ignore the ways in which we describe and identify ourselves. In so doing, we lack the data we need to unmask the differences of our diversity — a diversity that has been historically a source of strength and unity for the AAPI community. Without disaggregated data, all of us (whether within or outside the AAPI community) are permitted to maintain ignorance of the ongoing challenges faced by many within our own community. Social inequalities that continue to impact millions of Asian Americans and Pacific Islanders are allowed to persist. This injustice cannot continue. Data disaggregation is not just an important issue; it is one of the core civil rights issues facing AAPIs today. California boasts America’s single largest (and one of its fastest-growing) concentration of AAPIs, and in particular, it is home to the country’s most sizable population of Southeast Asian Americans. California is also among one of several states where socioeconomic disparities within the AAPI community are most profound. Yet, few of California’s state agencies are required to collect disaggregated data so that such disparities can be recognized. 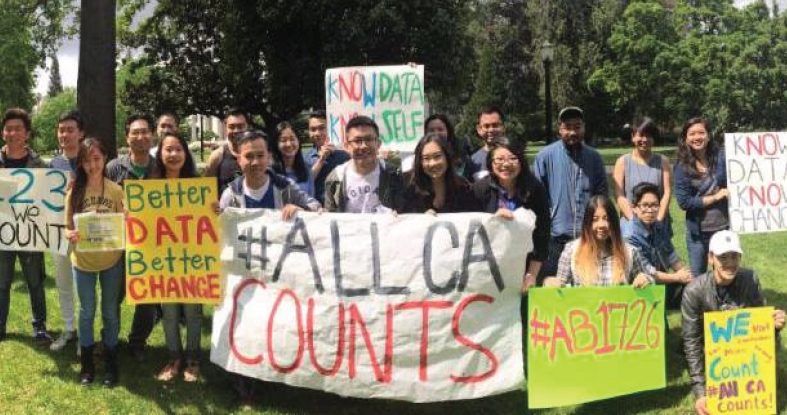 Absent those data, California’s Southeast Asian Americans and Pacific Islanders remain uncounted, and no one is forced to ensure that they (along with all Californians) are served by their state government. Last year, the California Legislature sought to correct this problem when they passed AB-176 with near unanimous bipartisan support. Authored by Filipino American California State Assemblymember Rob Bonta and supported by a multiracial coalition of civil rights organizations, AB-176 would have directed several of the state’s healthcare, higher education, housing and employment agencies to collect disaggregated AAPI demographic data consistent with the same AAPI ethnic identifiers currently in use by the federal government for its decennial census studies. Analysis of AB-176 found the bill to be cost-effective with the potential to provide untold benefit for the state’s thousands of Asian Americans and Pacific Islanders. Governor Jerry Brown inexplicably vetoed that bill. This year, Bonta has introduced a new data disaggregation bill, titled the AHEAD Act (AB-1726). Like AB-176, the AHEAD Act would apply to demographic data collection relating to healthcare and higher education, and would use the same ethnic categories currently in use by the federal government. Ethnic groups who will finally be recognized by California state for the purposes of data collection include: Bangladeshi, Hmong, Indonesian, Malaysian, Pakistani, Sri Lankan, Taiwanese, Thai, Fijian, and Tongan Americans. The AHEAD Act is supported by over seventy California-based organizations civil rights and community service organizations including numerous AAPI-focused groups. In addition, the AHEAD Act is expected to receive support from the Regents of the University of California, the Trustees of the California State University and the Board of Governors of the California Community Colleges — all will need to adjust their data collection methods should the Act be passed into law, yet they seem eager to make those necessary changes with AB-1726’s passage. Like last year’s AB-176, the AHEAD Act has already received widespread bipartisan support in the California State Assembly, where it has moved through the Assembly’s higher education and healthcare committees with minimal opposition. Yesterday, the bill was sent to the Appropriations Committee for consideration of its potential financial impact to the state, which most predict would be unremarkable. If the bill passes the Appropriations Committee, it will head to the Assembly floor for a vote. Despite broad bipartisan support for data disaggregation in California, a few California-area Chinese American groups have also emerged against the AHEAD Act this year. Their opposition is truly bewildering: these groups advocate the silencing of Asian American and Pacific Islander voices alongside concealment of their oppressions, all to advance baseless fearmongering for a conservative anti-affirmative action cause. I am deeply angered by this violent political erasure of crucial members of the AAPI coalition by some of its own members. It is immoral to allow our fellow Asian Americans and Pacific Islanders to remain invisible, and for the challenges that they face to continue to be swept into the shadows. We must demand that all people – and specifically, all Asian American and Pacific Islanders — be counted. 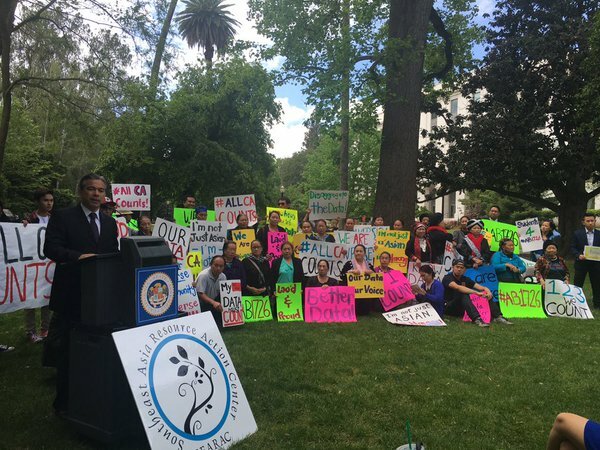 Groups supporting the AHEAD Act have joined forces with 18MillionRising to develop several ways to hold Governor Brown accountable and demand that this bill be passed and signed into law in California. They ask that all AAPIs get involved in this fight. Sign the petition to ensures all Californians count! Send a letter of support from your organization. Like the All Californians Count Facebook page. 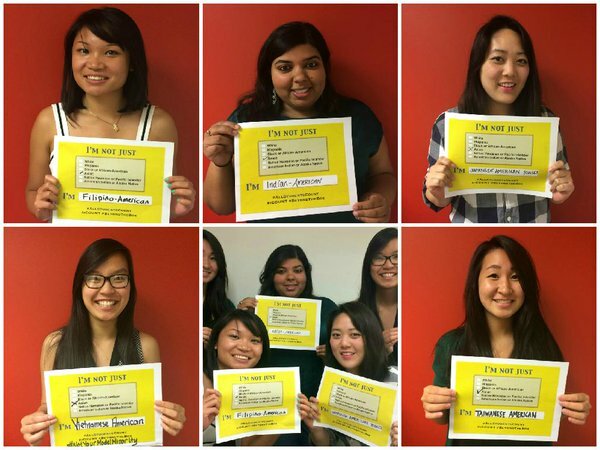 Take a selfie with an All Californians Count sign and send it to AllCACounts@searac.org. You can also share this post to help educate your friends and family about why data disaggregation matters, and tag this and other tweets with #AllCACounts. Our community is not served by any treatment that conceals the nuances of who we are. We deserve to have the beauty of our diversity revealed and appreciated. All Asian Americans and Pacific Islanders should get to count in determining our identity, and all of us deserve to be counted.